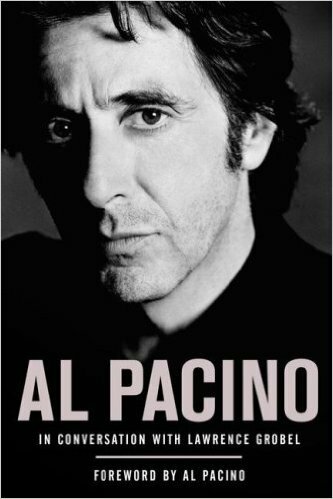 For more than a quarter century, Al Pacino has spoken freely and deeply with acclaimed journalist and bestselling author Lawrence Grobel on subjects as diverse as childhood, acting, and fatherhood. Here, for the first time, are the complete conversations and shared observations between the actor and the writer; the result is an intimate and revealing look at one of the most accomplished, and private, artists in the world. Pacino grew up sharing a three-room apartment in the Bronx with nine people in what he describes as his "New York Huckleberry Finn" childhood. Raised mostly by his grandparents and his mother, Pacino began drinking at age thirteen. Shortly after he was admitted to the renowned High School for Performing Arts, his classmates nicknamed him "Marlon," after Marlon Brando, even though Pacino didn't know who Brando was. Renowned acting coach Charlie Laughton saw Pacino when he was nineteen in the stairwell of a Bronx tenement, and the first words out of Laughton's mouth were "You are going to be a star." And so began a fabled, lifelong friendship that nurtured Al through years of not knowing where his next meal would come from until finally -- at age twenty-six -- he landed his first salaried acting job. Grobel and Pacino leave few stones unturned, touching on the times when Pacino played piano in jazz clubs until four a.m. before showing up on the set of Scarecrow a few hours later for a full day's work; when he ate Valium like candy at the Academy Awards; and when he realized he had been in a long pattern of work and drink. As the pivotal character in The Godfather trilogy and the cult classic Scarface, Pacino has enshrined himself in film history. He's worked with most of Hollywood's brightest luminaries such as Francis Ford Coppola, Sidney Lumet, Michael Mann, Norman Jewison, Brian De Palma, Marlon Brando, Robert De Niro, Gene Hackman, Sean Penn, Johnny Depp, Michelle Pfeiffer, Hilary Swank, and Robin Williams, among many others. He was nominated for eight Academy Awards before winning the Oscar for Best Actor for his role in Scent of a Woman. Pacino still seems to prefer his work onstage to film and, if he's moved by a script or play, is quick to take parts in independent productions. Al Pacino is an intensely personal window into the life of an artist concerned more with the process of his art than with the fruits of his labor, a creative genius at the peak of his artistic powers who, after all these years, still longs to grow and learn more about his craft. And, for now, it's as close to a memoir as we're likely to get.